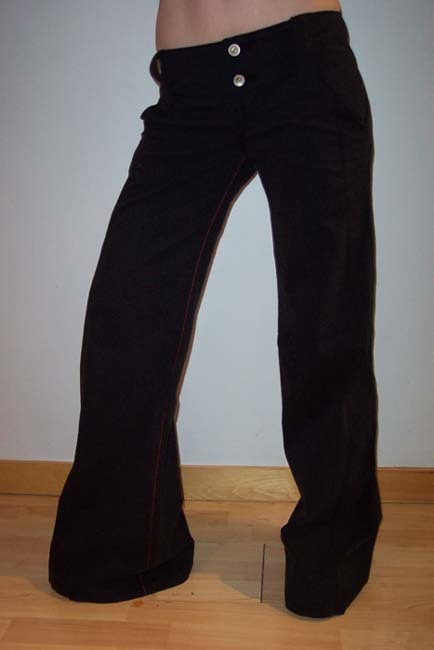 Kitchen Orange Clothing Black Roller Pant - Women's roller pants now come in black stretch twill - this pant has been one of our best sellers in the stretch denim -98 percent cotton, 2 percent lycra. new rollers have sunset color topstich running down seam - makes the pant - attention to detail. Made in Canada.